Before I wrote a novel, I had this image of writers typing away in their pretty offices during daytime work hours and then hanging out with their families at night. I thought writing was their job, and they did it in regular job hours. Now please understand, I am not complaining. I am so grateful that I get to be a full-time writer. And I know many writers who have busy non-writing careers, raise their kids and somehow find time to write great books as well. I take my metaphorical hat off to these incredible people and honestly have NO idea how they do it! They were born with superpowers, for sure. But what I am saying is that for me, writing is a team effort. I can’t get my books done solely in the time that my son spends at school. I work hard during those hours, but there are also appointments, errands, and school events that whittle away that time. So I often need writing time at night or on weekends too. And that’s where my husband steps up. Every time. My new book came out in March. And my name is on the cover. But that book represents so many times when my husband played with our son, took him to his weekend classes and birthday parties, did the chores, talked through plot points with me, gave me notes on my manuscript, made me laugh, and brought tea or wine, depending on whichever medicine I needed in the moment. Behind the scenes of my polished author photo is the bleary-eyed, scraggle-haired, sweat-pantsed look I rock during deadlines. Which my husband always insists is cute. And then there are all the times he’s talked my wild-eyed self off the ledge during my ‘no one is going to read this book anyway,’ moments. And now, with the book out, my husband provides endless hugs and kind words that keep me steady when reviews roll in. So here’s to my husband, whose name should be on the cover of my books too. Because they would never, ever happen without him! 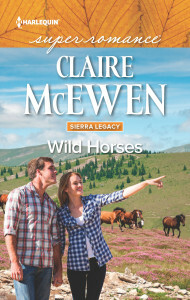 The new book is called Wild Horses. 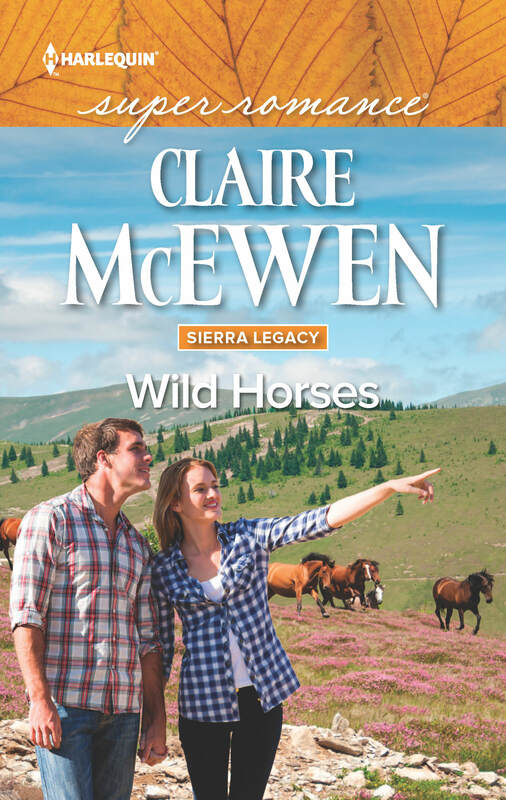 It’s the first book in my Sierra Legacy series and it’s on sale now at all major on-line retailers. Paperback copies are available at Harlequin, Amazon and Barnes & Noble. I am so excited to have this book out in the world! We hope you enjoy it! Here is an Amazon link, if you are interested! ← On Tour On-Line with USA Today Bestselling Author Tara Taylor Quinn!